If you’re familiar with the films of David Lynch, then you know the subtle uneasiness that he makes you feel. It doesn’t just stop with movies, as Lynch is also a photographer. 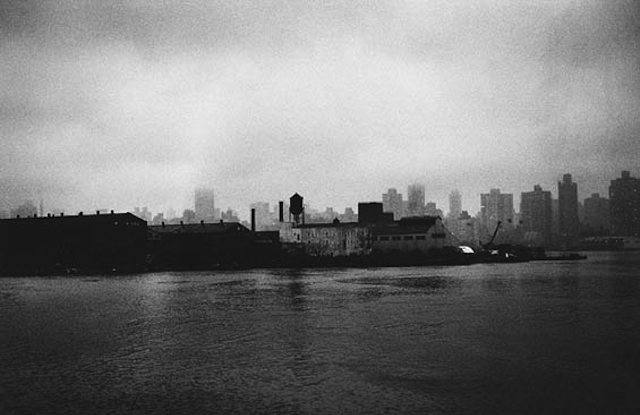 Between 1980 and 2000, he shot monochromatic images of factories in Berlin, Poland, New York, New Jersey, and England. The result is a book of photographs titled The Factory Photographs, selections of which are currently on view at The Photographers’ Gallery in London. It’s clear that the filmmaker’s eye transfers effortlessly between the moving picture and a static one. These landscapes are beautiful, but desolate and haunting; Their moodiness makes them feel as if they are of a different time and dystopian future. “I love industry. Pipes. I love fluid and smoke. I love man-made things. I like to see people hard at work, and I like to see sludge and man-made waste,” Lynch writes in his book.